“The new BMW M6 Coupé and M6 Convertible models represent the most recent expression of the BMW M philosophy, having sold over 14,000 examples of the previous generation worldwide. The new M6 comes as standard with 19” Star-spoke forged alloy wheels featuring seven double spokes in a two-tone finish. Optional 20” alloy wheels, with five double spokes hinting at the weight saving their lightweight design provides, are also available. 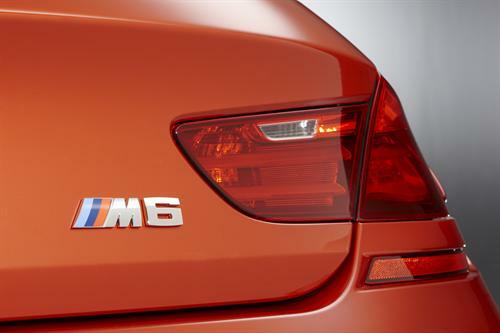 The new BMW M6 offers a particularly high level of standard equipment. In addition to the advanced mechanical package that the car offers, the M6 driver enjoys two-zone climate control, heated and multi-adjustable M Sport seats, the M-specific HUD, Extended Merino leather interior trim and BMW Professional Navigation with 10.2” colour screen. Customers can then further personalise their cars with an upgrade to 20” alloy wheels, M Carbon Ceramic Brakes, Internet, BMW Night Vision and a Bang and Olufsen Advanced audio system.